Choosing the best car audio battery is not an easy thing to do. Even if you know what to look for, you still sometimes end up buying the wrong product. To avoid frustration, it is important that you have some knowledge about the product before you make a purchase. It is always a good idea that you start with the basics. There are lots of c﻿ar audio batteries available in the market. This car audio battery review includes some of the important characteristics that you need to focus on when buying: weight, height, volts, length, and cold cranking amps. The average lifespan of car batteries is around three to five years. However, if you have poor driving habits or if your car is exposed to extreme weather conditions, the battery might run out easily. Here are 5 of the best car audio batteries available in the market today and their corresponding characteristics. What is the Best Car Battery for Audio Systems? When Should I Upgrade my Car Battery? One of the most important factors that you need to focus on when looking for a reliable car audio battery is its performance. Your chosen battery should consistently perform at the optimum level. If you want your car audio system to perform well without affecting other parts of your car, choose a car battery with high rating performance. If you choose the wrong type of battery, there is a higher chance that it will drain easily, especially with an upgraded stereo or other car accessories. Choose a battery that can withstand ​extreme weather conditions. High temperature can increase corrosion of the plates, and vaporize the electrolyte. Select the battery with a higher CCA or Cold Cranking Amps. It measures the capability of the battery to start the engine during extreme cold weather conditions. AGM or Absorbed Glass Matte battery is designed to withstand repeated draining and recharging cycles better,compared to standard batteries. The biggest advantage of the AGM battery is that the acid is absorbed by the fiberglass mat, which makes them spill-proof. This type of battery is maintenance free, with exceptional reliability and is lighter ​compared to flooded lead acid batteries. This type of battery offers continuous power for longer. These batteries are made to be discharged regularly, using most of its capacity. This type of battery is not intended as a starter battery because it does not offer the same surge that a starter battery can offer. Matching the battery on your car sound system is easy. Just add the total wattage of your equipment and then look for batteries that can match the cranking amps. Cranking amps are the electric current the battery is capable of. The higher the number, the more powerful it will be. Match this to the total RMS wattage of your system. Ampere hour is the capacity of the battery and is measured by multiplying the current flow in amps by the time it discharges. Amperage measures the rate at which the electric charge passes into the battery. This car audio battery review will describe some of the best features of the top performing car battery in the market today. ​Compared to the traditional batteries, the Optima Batteries 8171-767 yellow top can provide better cycling capability. This means that you will have superior cranking power that will last longer. The battery can power heavy electrical loads including ​car accessories and electronics, such as audio systems, inverters and winches. The only downside of this battery is that it is quite pricey for those who are on a budget. 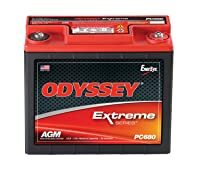 ​Compared to other AGM batteries, Odyssey PC680 battery has a rugged construction that can withstand the constant pounding that comes with the territory whether on sea, snow or land. This battery is packed tightly with pure lead plates. Its AGM design protects it against shock and vibration. The pure lead plates can provide power and 3x the life of traditional batteries up to 400 cycles. 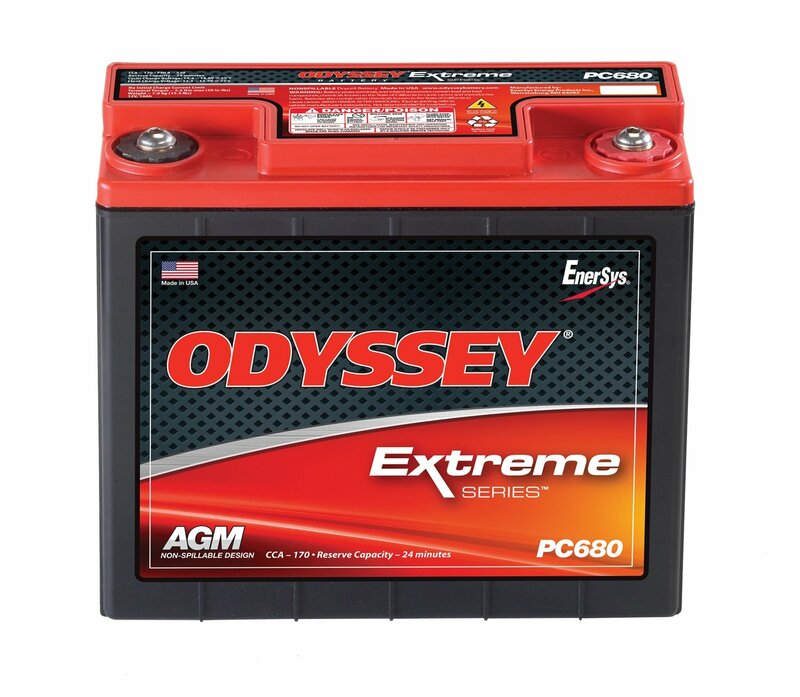 The Odyssey PC680 has 170 cold cranking amps to make sure it provides a good starting power for vehicles even in extreme weather condition. 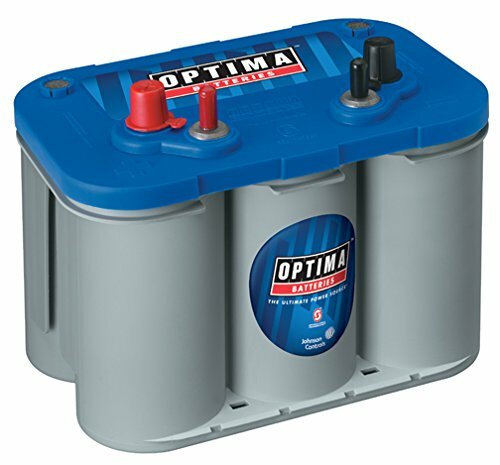 The Optima Batteries 8016-103 deep cycle marine battery is very powerful, with a nominal voltage of 12 volts. It has higher cold cranking amps at A 750 and the marine cranking amps are 870. Its internal resistance when it is fully charged is 0.0028 ohms, which makes this ​one of the marine batteries with lowest internal resistance. 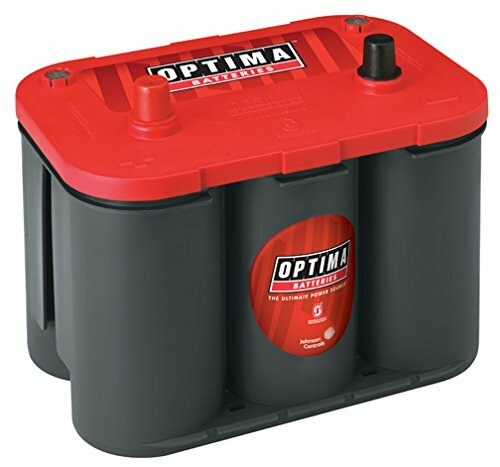 Optima products are known for ​high quality and well ​performing deep cycle batteries. 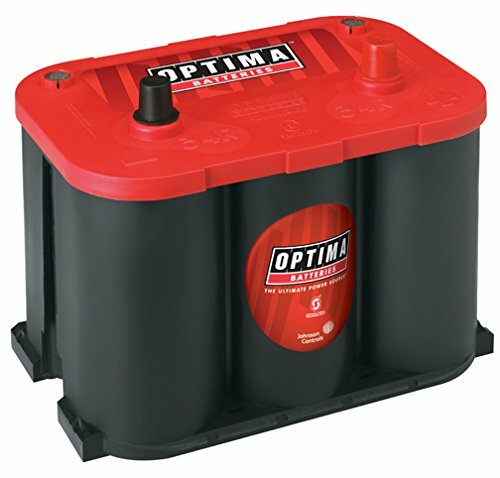 This Optima battery 34 Ultra high-performance with Spiralcell technology battery has dependable cranking power for your truck or car and twice the life expectancy. This battery will outlast and outperform the conventional batteries in demanding starting/cranking applications. The Optima battery 8002-002 has high-CCA starting battery for cars that have alternators capable of keeping up with all electrical loads. The Optima battery 8003-151 high-performance AGM battery is the optimum battery made to provide an optimum burst of ignition power for a ​reliable start-up. It can survive hard launches, extreme corners and is race proven for every road, whether it is used as an automotive battery, as a truck battery or for other applications. If you are looking for a cheap car audio battery, Optima battery 8003-151 is recommended. When it comes to choosing the best car battery for audio systems, you need to focus on the characteristics and features of the battery. If you are looking for a lightweight battery that can provide power for your audio systems, ​choose the Odyssey PC680. The Odyssey PC680 has lots to offer, including a limited 2 year, full-replacement warranty and a 3-10 years’ service life. 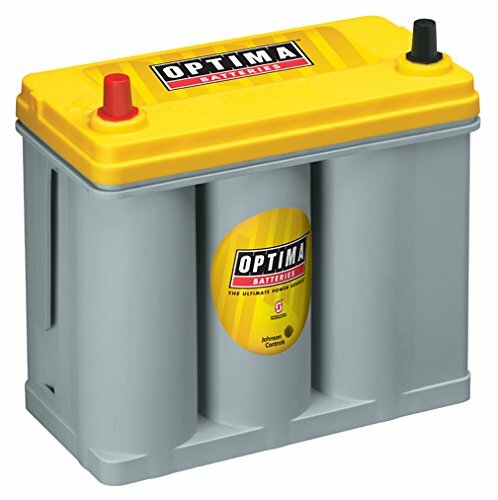 But if you are looking for a lightweight battery that can run your hydraulic system or provide power to your winch, you check out the great features of Optima Yellow Top Battery. It can also provide power to your car accessories including the audio systems.